It is being reported on July 13, 2016, that Rudy Guede will graduate this Saturday, July 16th, with a Bachelor of Arts degree in History, with Honors. Rudy Guede was the third man tried for the murder of Meredith Kercher along with Amanda Knox and Raffaele Sollecito. It is being reported on June 30, 2016 that Rudy Guede, co-defendant in the trial for the murder of Meredith Kercher, is going to request to appeal his conviction. Rudy Guede was charged with killing Meredith Kercher along with Amanda Knox and Raffaele Sollecito in 2007. It is being reported on March 24, 2016 that Italian foundation called ‘Sergioperlamusica’ is proposing a concert for the late Meredith Kercher. Meredith Kercher was a British exchange student who was murdered in Perugia, Italy in 2007. The concert is part of an event scheduled for June 20, 2016 which will highlight significant moments in Perugia, Italy’s history. It is being reported on January 14, 2016 that the Italian courts in Florence have acquitted Amanda Knox of slandering the police. Knox was facing an additional two years and eight months in prison for accusing the police of “pressures and mistreatment.” Knox claimed that the police abuse caused her to falsely accuse her former Congolese boss, Patrick Lumumba of murdering Meredith Kercher. 1.She blamed a black man, Patrick Lumumba, for the murder. While Knox was convicted of this, she has still not paid the court ordered fees to him. The trial began on June 9th and during the last hearing held in early September, was audited by Judge Giuliano Mignini (above picture). The magistrate confirmed the charges of Knox stating that the interrogation was totally free from any psychological pressure. 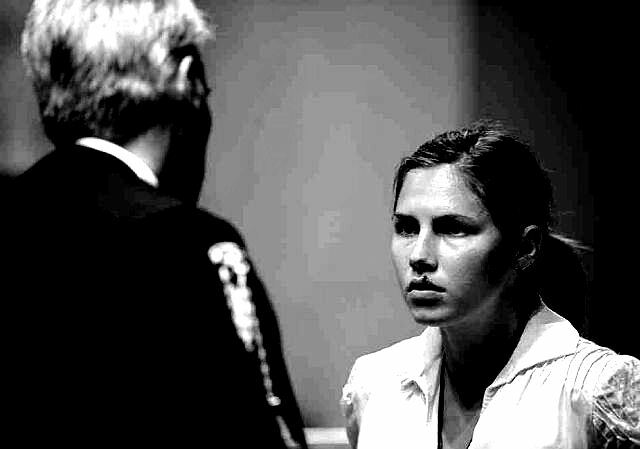 It is being reported in Italian news on September 21, 2015 that Amanda Knox now faces more prison time for slandering the Italian police. Amanda Knox was acquitted of murdering Merdith Kercher earlier this year, under what the Italian Supreme court described as a “strong suspicion” of culpability in their recently released reasoning report. Knox’s criminal conviction for slandering her former boss was confirmed by the ISC leaving Knox a convicted felon. Now Knox stands to be convicted of more calumny charges resulting from her statements against police detectives in court. Amanda Knox was acquitted of murder back in March due to insufficient evidence but her conviction of calunnia or criminal slander was upheld. Knox falsely accused her former boss Patrick Lumumba for the murder of Meredith Kercher and as a result she was sentenced to four years which was time served in Capanne Prison.